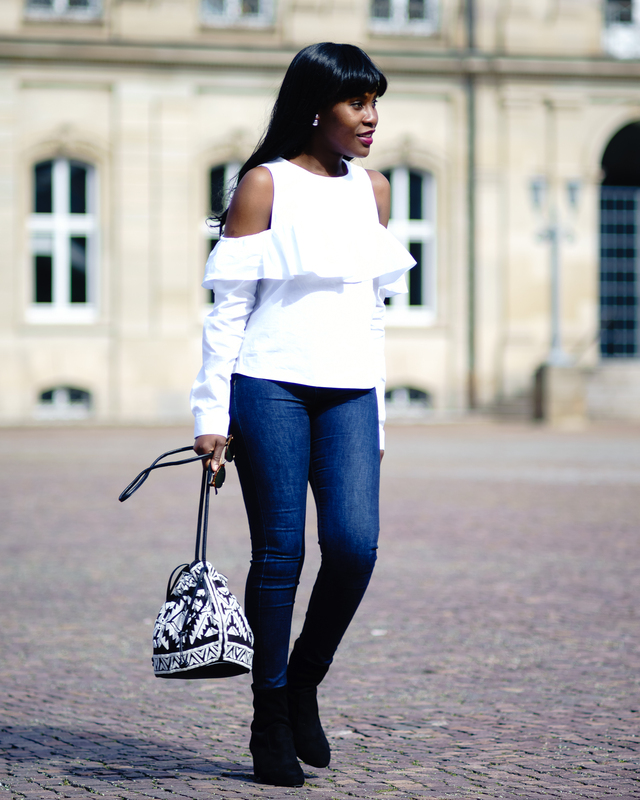 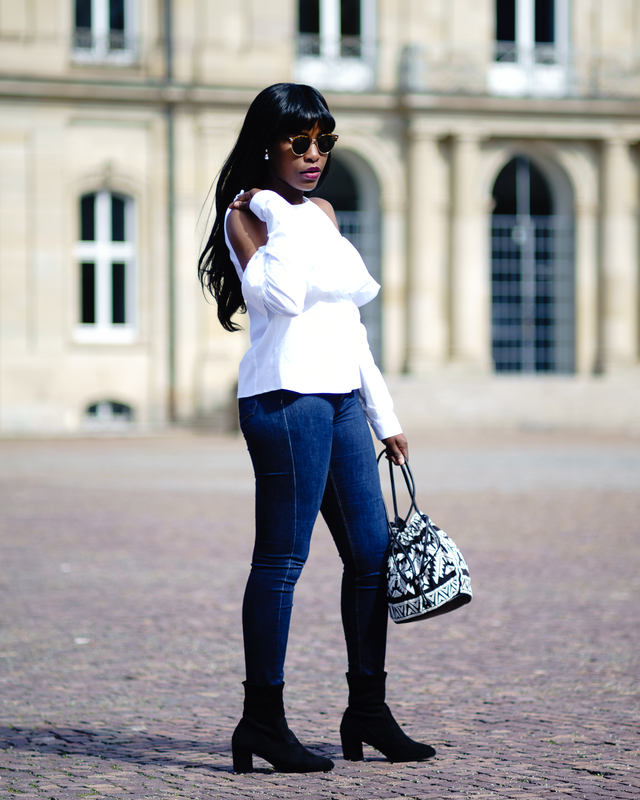 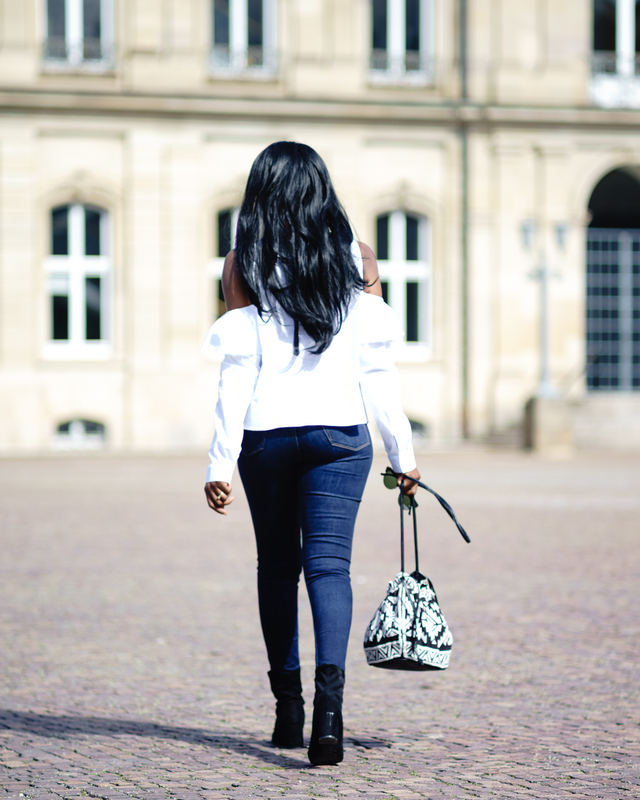 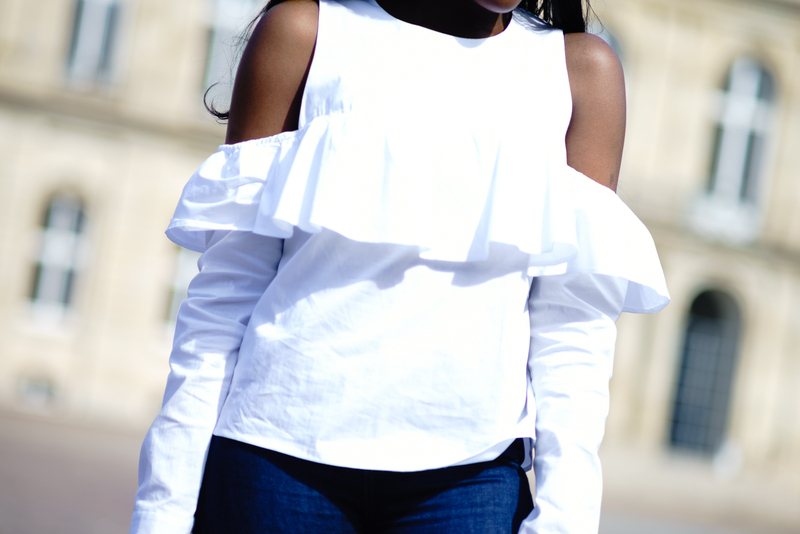 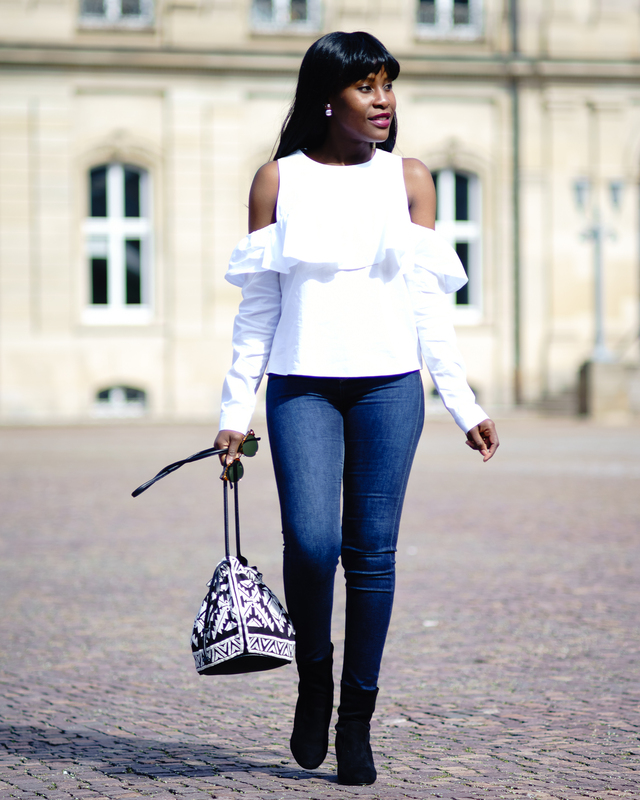 Cold Shoulders and Ruffles – Sara K.
It is easy to wear, easy to pair and I combined them with my dark blue jeans and boots – it would definitely look great on a mini skirt or light wash pants, as well. 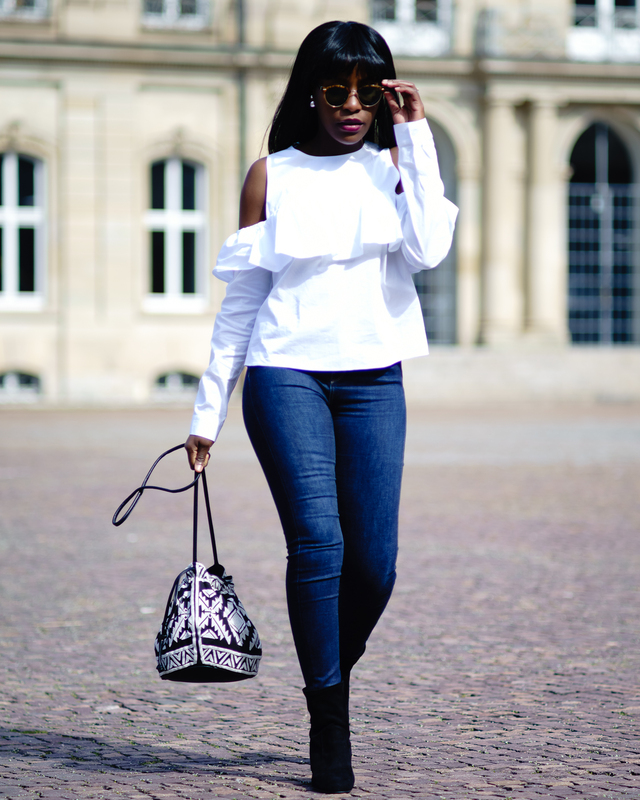 I added a bit more of texture with the little textured bucket bag and accessorized with some sunnies. 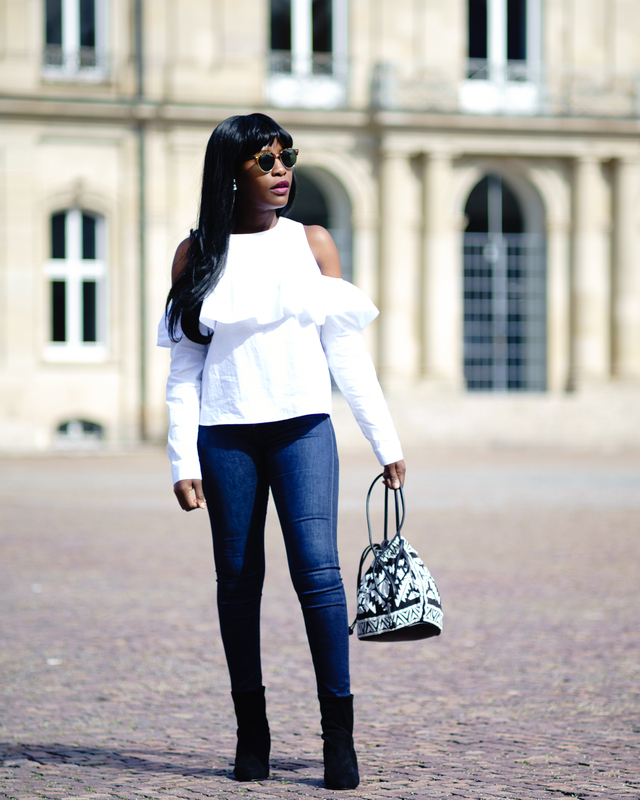 What’s up for summer? 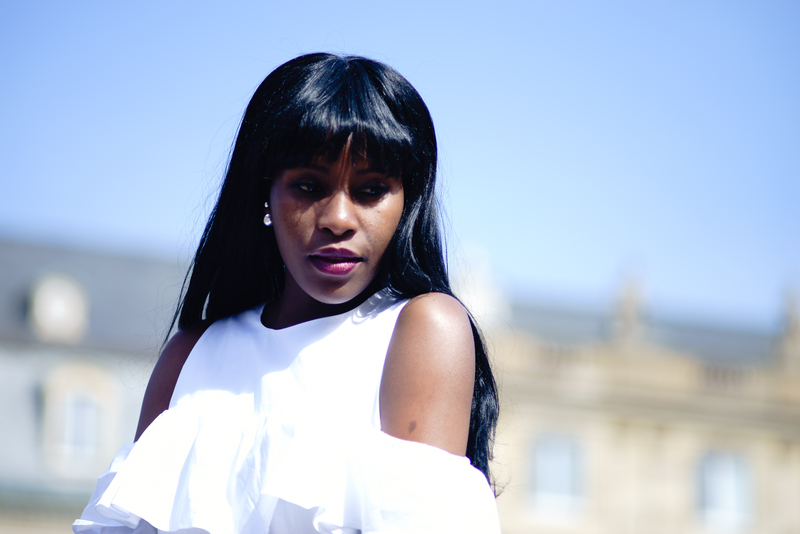 – let’s chat below!